An ABC journalist has detailed sexual harassment allegation against NSW Labor leader Luke Foley for the first time, describing his promise to resign over drunken groping. 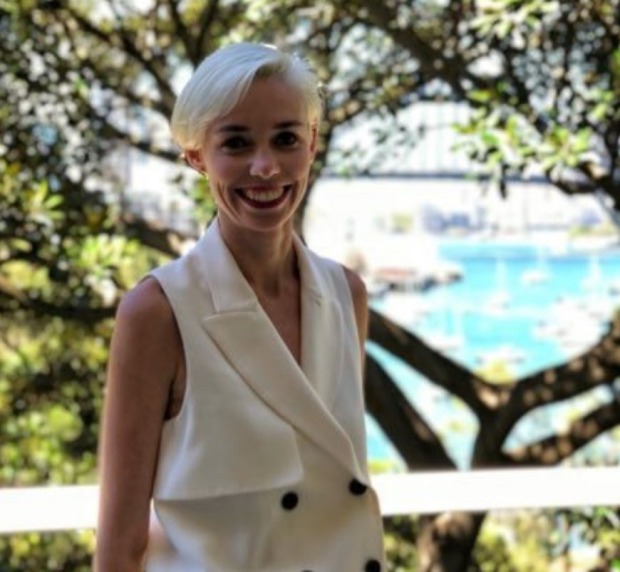 In a statement released by the broadcaster on Thursday, former ABC state political reporter Ashleigh Raper confirmed she was the journalist at the centre of speculation about a drunken incident involving Mr Foley at a Christmas party in 2016. Mr Foley has been under pressure to explain his actions after speculation about the incident was raised in NSW state Parliament and Senate estimates hearings in Canberra. Ms Raper said Mr Foley approached her at a November 2016 party, while journalists, staffers and MPs were drinking in a Martin Place Bar. ABC journalist Ashleigh Raper released the explosive statement after weeks of speculation. She alleged the Auburn MP stood next to her and touched her inappropriately as he prepared to leave the event. “He put his hand through a gap in the back of my dress and inside my underpants,” she said in the statement. Ms Raper said a former Fairfax Media journalist witnessed the incident but she chose not to make a complaint for fear she would lose her job covering NSW state politics. “It is clear to me that a woman who is the subject of such behaviour is often the person who suffers once a complaint is made. Ms Raper said she raised the issue with ABC management earlier this year and was not involved in the incident becoming a political attack against Mr Foley in recent months. On Sunday, Mr Foley called Ms Raper and said he would resign in a lengthy conversation, later reneging after he received legal advice. “He apologised again and told me, ‘I’m not a philanderer, I’m not a groper, I’m just a drunk idiot’,” the statement said. Mr Foley has previously described claims about the incident as “lies” and challenged opponents, including Counter Terrorism and Corrections Minister David Elliott, to repeat them outside Parliament and without parliamentary privilege. Ms Raper said women should be able to go about their professional and social lives without harassment, calling for situations like hers not to be used for political attacks. The ABC said Ms Raper was reassigned in February at her own request, unrelated to the incident. “The ABC considers it extremely unfortunate that media and public pressure has been applied to Ms Raper during these past months and caused her to speak publicly on an issue she did not wish to pursue or to comment on,” a spokeswoman said. The broadcaster will make no further comment. Federal Opposition Leader Bill Shorten declined to comment on the statement while campaigning in Perth on Thursday. Mr Foley has been contacted for comment. He is expected to come under immediate pressure to quit, just months out from the March election. Deputy opposition leader Michael Daley is expected to start as favourite to replace Mr Foley. The member for Maroubra, he previously stood for the leadership but came under internal pressure to withdraw. Former NSW Liberal leader John Brogden quit the party’s leadership in 2005 after describing former premier Bob Carr’s wife Helena as a “mail-order bride” and making inappropriate remarks to two women at a function.